Intellectual Property: What is it? Anybody may develop ideas and concepts which have practical applications and possibly commercial potential. Examples are the development of new techniques, devices, software, pharmaceutical products and processes. Indeed all staff are encouraged to solve problems and to develop new ways of working which benefit patients and their care. Intellectual Property (IP) is the general label given to these ideas and know how, which is originally created in someone’s mind. IP, like other kinds of property, can be owned and protected. Please see the section on Protecting IP for further explanation of how. The IP rights offer protection to the owner, and can be valuable, tradable assets. However, many innovations will not be patentable or copyrightable but nevertheless have enormous potential benefits if successfully implemented. All employees of UPHNT are subject to the Intellectual Property Policy of the Trust. In most cases your concept is automatically the property of the Trust because this is one of the conditions of employment by UHPNT. Any IP arising in the course of duties, including research and development projects undertaken in the course of work for the Trust and/or using Trust facilities results in that ownership. However, as the inventor, if there is any financial return from the development of your idea then you are entitled to a share. Please read the Trust IP policy for further details. Patents: Patents cover products or processes that are novel and inventive. Patents are therefore concerned with how things work, what they are comprised of or how they are made. If someone comes up with a completely new or improved medical device, patent protection may be appropriate. A patent provides the owner with a monopoly right preventing others from using that invention, as specified in the patent claims. However the process of securing patent protection is expensive and Trust support would need to be discussed and agreed through the Trust Innovation Group, with advice from IP experts. Copyright: Copyright refers to legal protection for original literary, dramatic, musical or artistic work, sound recordings, films and broadcasts. It provides protection against copying, occurs automatically when the work is produced and does not generally need to be registered. In the NHS, copyright may be relied upon for protecting any original written work including training materials and computer software. Designs: A design registration protects the visual appearance of an object. This can include the shape and configuration (three dimensional) of an article or the pattern or ornament (two dimensional) applied to an article. A design registration provides the owner with a monopoly right preventing others from using that design. Unregistered design right applies to original, non-commonplace designs and protects any aspect of the shape and configuration (three dimensional) applied to an article. It is not a monopoly right, but provides protection against copying in a similar way to copyright. Trade marks: A trade mark is a sign or badge, which is capable of distinguishing the goods or services of one trader from another. Examples include a word, a phrase, a logo, a smell, a sound or a combination of these. Trade marks may be used by companies as a marketing tool, to ensure that customers can recognise the product of a particular trader. New medical devices, software systems. 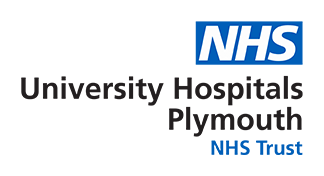 Automatic, but ownership made clear by adding © University Hospitals Plymouth NHS Trust 20XX. Appearance of a new device. Please get in touch with Helen Neilens if you want to discuss this in more detail in relation to your project. Visit the UK Intellectual Property website for more information..
All employees of UHPNT are subject to the Intellectual Property Policy of the Trust. In most cases your concept is automatically the property of the Trust because this is one of the conditions of employment by UHPNT. Any IP arising in the course of duties, including research and development projects undertaken in the course of work for the Trust and/or using Trust facilities results in that ownership. However, as the inventor, if there is any financial return from the development of your idea then you are entitled to a share. Please read the Trust IP policy for further details. Intellectual Property is managed through our IP policy and Department of Health guidance, The NHS as an Innovative Organisation, please contact the Innovation Lead, Helen Neilens if you want to discuss how the IP Policy applies to your particular situation.